Our tour of Mexico continued with a port stop in Mazatlan. Now you know I love beer and a tour of Pacifico, who happens to be located in Mazatlan, was tempting but no photos were allowed and the price of the tour was rather high. 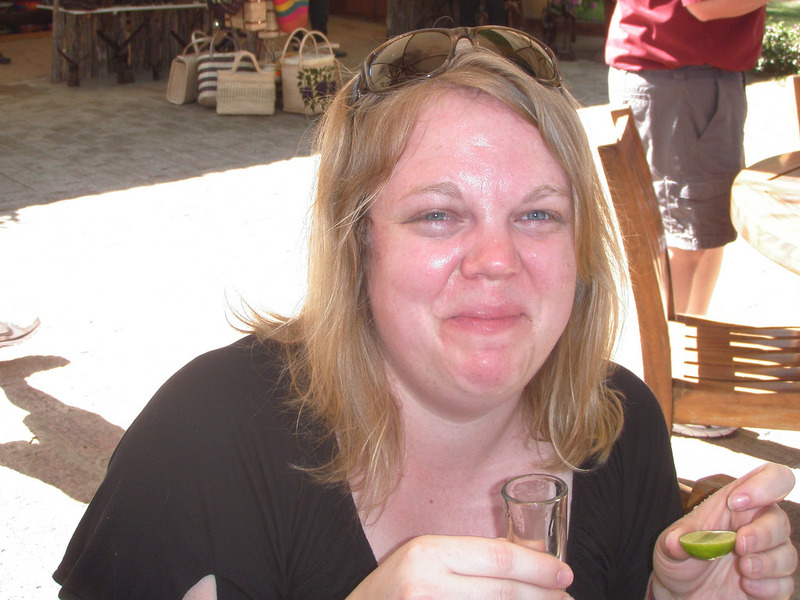 I am never a fan of no photos so I talked Laura into taking a tequila distillery tour at Los Osuna instead. 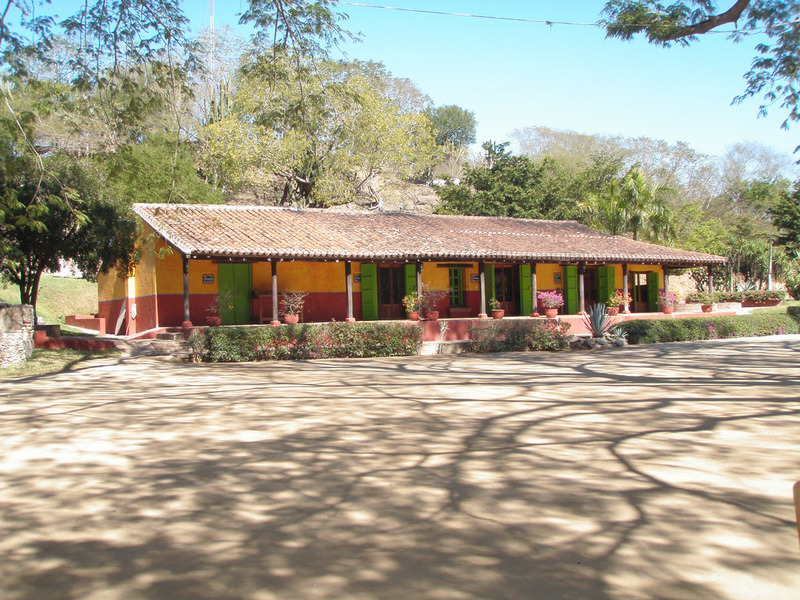 Los Osuna is located a short distance from Mazatlan, which was a perfect excursion on a warm sunny day. 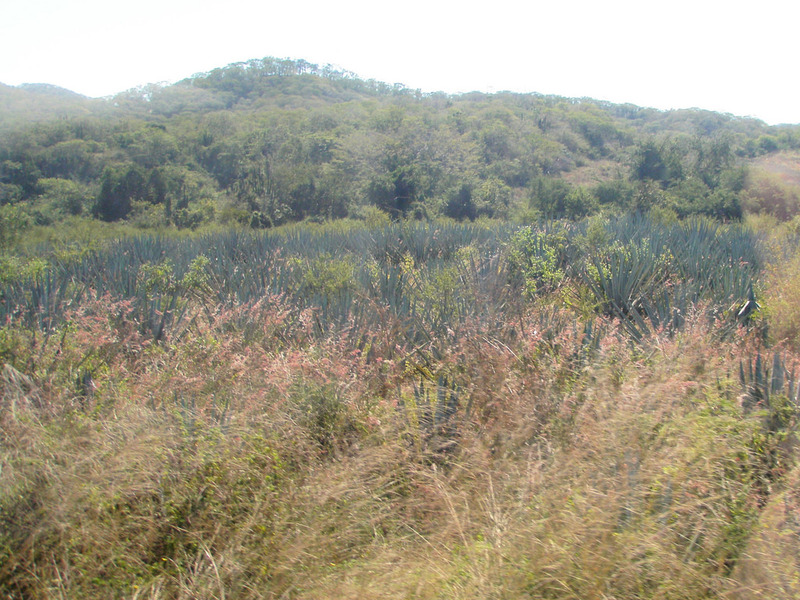 We arrived at Los Osuna, stopping first at the Weber Blue Agave fields, the plant used to make tequila. The agave plant takes between 7 to 8 years before they are ready to be harvested. The agave is then removed from the ground and the stalk is trimmed off by a sharp spade like tool. What is left is called the pina. 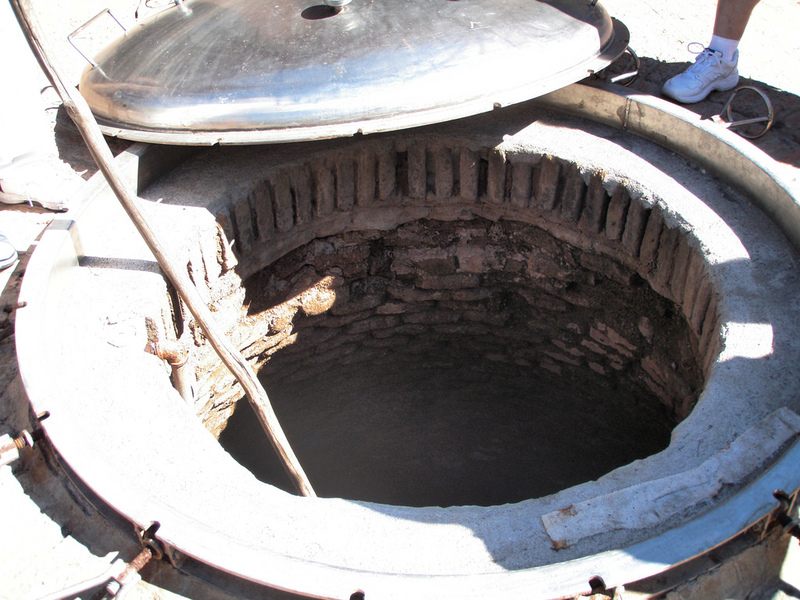 The pina is cut into pieces and cooked inside the roasting pits located in the ground. During the cooking process the starches convert to sugar. The color of the pina also changes from a white to brownish red color. 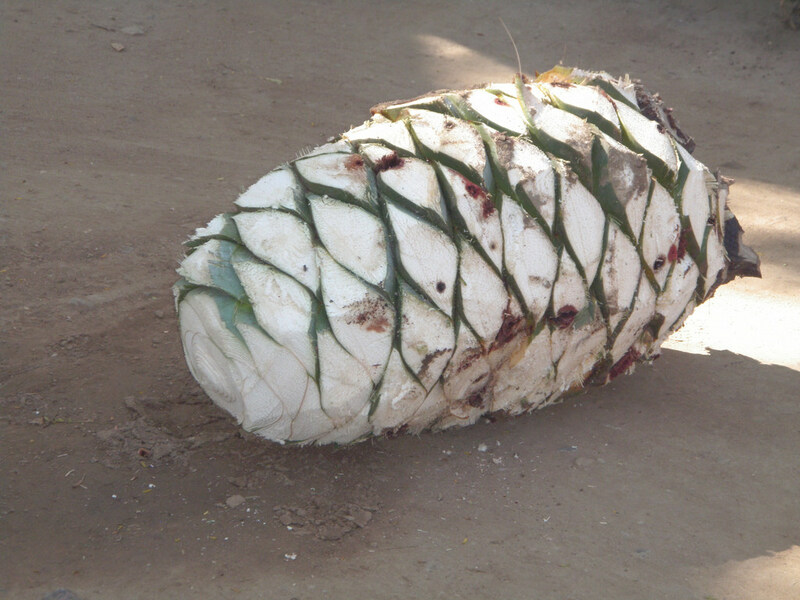 After cooking the pina it is moved to a shredding machine where the agave nectar is extracted. Before modern day technology a stone wheel, powered by donkeys walking in a circle was used to extract the nectar. The nectar is then moved to wooden tanks where yeast is added. Now we all know that yeast is alcohol’s best friend because without yeast we wouldn’t have alcohol. While in the wooden tanks the agave nectar goes through the fermentation process where the yeast eats the sugar and creates alcohol. After the yeast is fat and happy the liquid is moved the the stills. 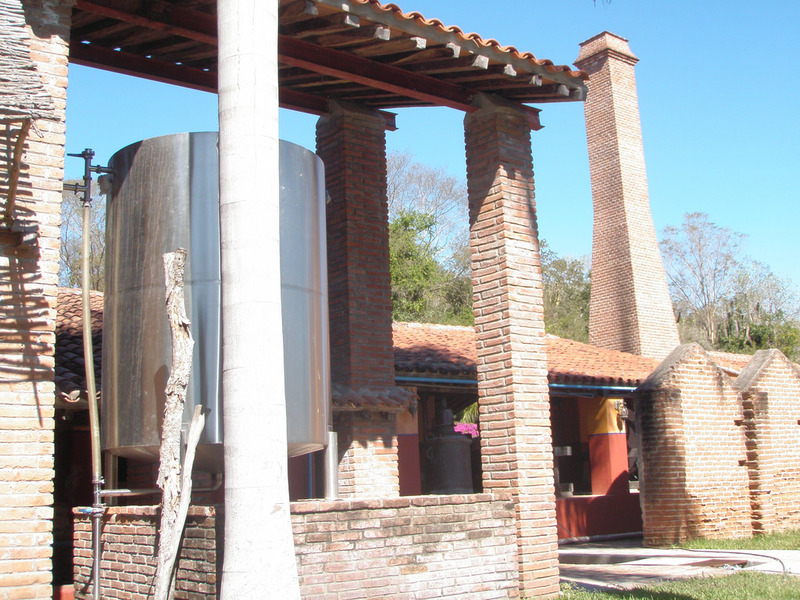 This is where the tequila starts to take shape. Traditionally the liquid is twice distilled in order to become tequila. After two distills the tequila is around 60% alcohol. Water is added to bring the tequila down to the traditional 40%. 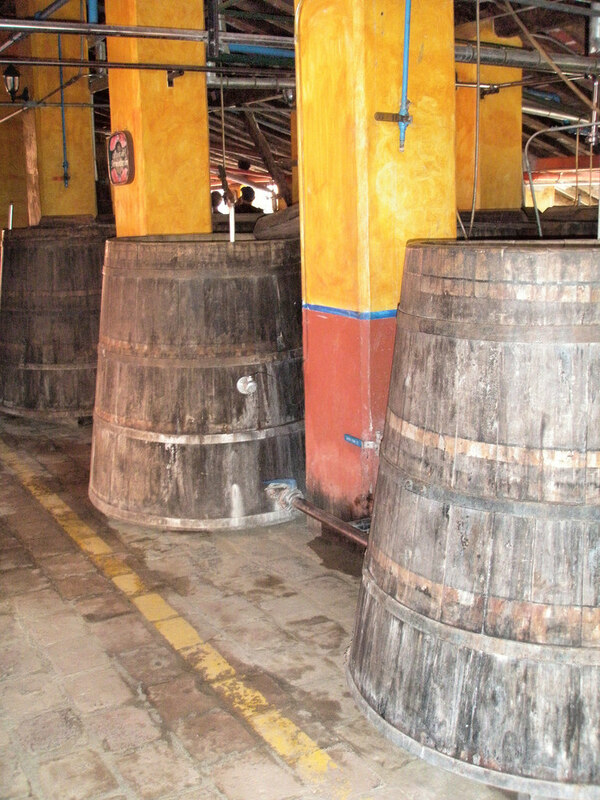 The tequila is then aged in oak casts, with the exception of the blanco tequila. Blanco is white tequila typically bottled directly after distillation. It has a clear appearance along with a fresher taste of the agave plant. The reposado tequila is aged from 2 months to 11 months while the anejo is aged from a year to three. As the tequila ages the color becomes darker, the flavors smoother and notes of wood flavors are picked up from the barrels the tequila is aged in. The above building housed both the barrel room and the bottling room. 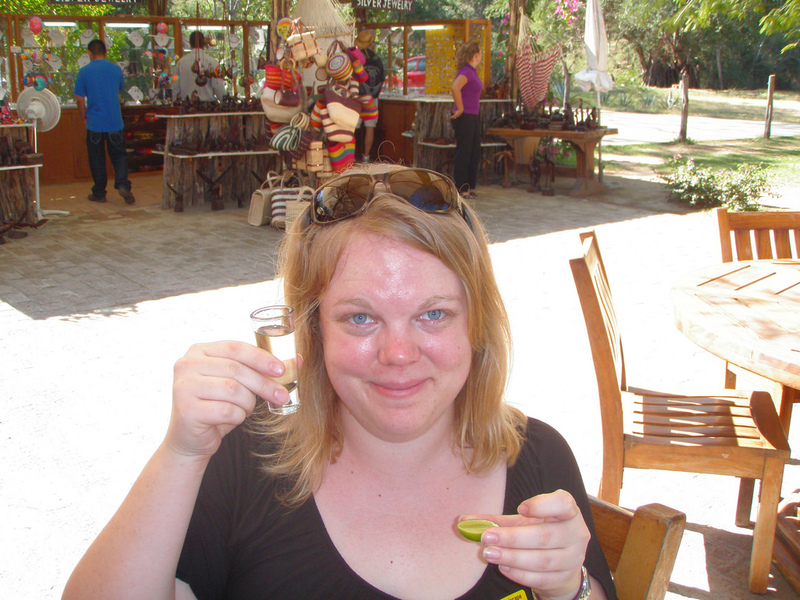 After our tour of the distillery was over we were allowed to taste test the product and purchase bottles of tequila to take home. Laura and I did a few shots while we were there. From the look on my face it appeared that I did not enjoy my shot, but I did end up buying a bottle of Maduro, an extra anejo, aged over 3 years. 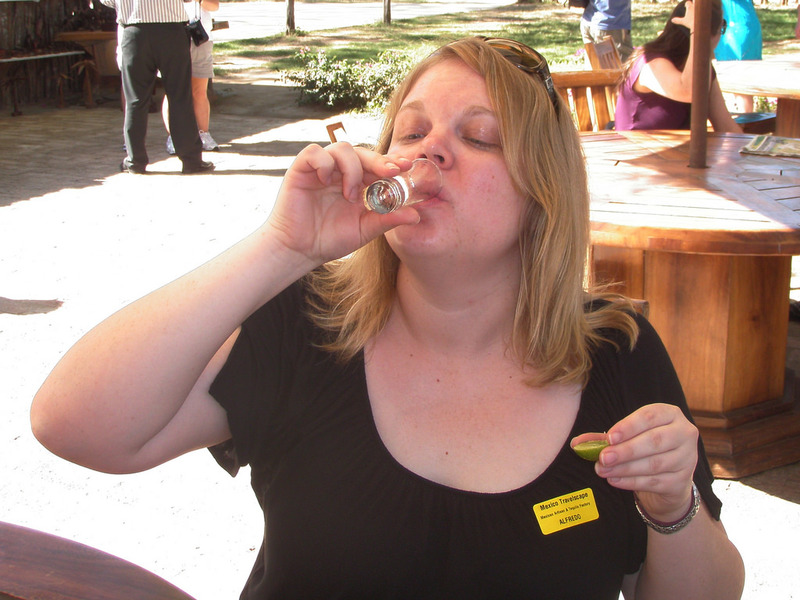 Although I am usually an advocate of buying from the source, members of our tour found the same tequila less expensive in the city of Mazatlan if you are interested in picking up a bottle after your tour. We booked our tour through our cruise line but this same tour is offered by local Mazatlan tour guides as well. The tour also consisted of visiting the town of La Noria where we toured a leather shoe factory and saw tortillas being made but the tequila tour was definitely the highlight. What a vicarious thrill to learn about making tequilla! I love the 100% Agave brew and will be in Mazatlan in a month. Hope to check out Los Osuna then. 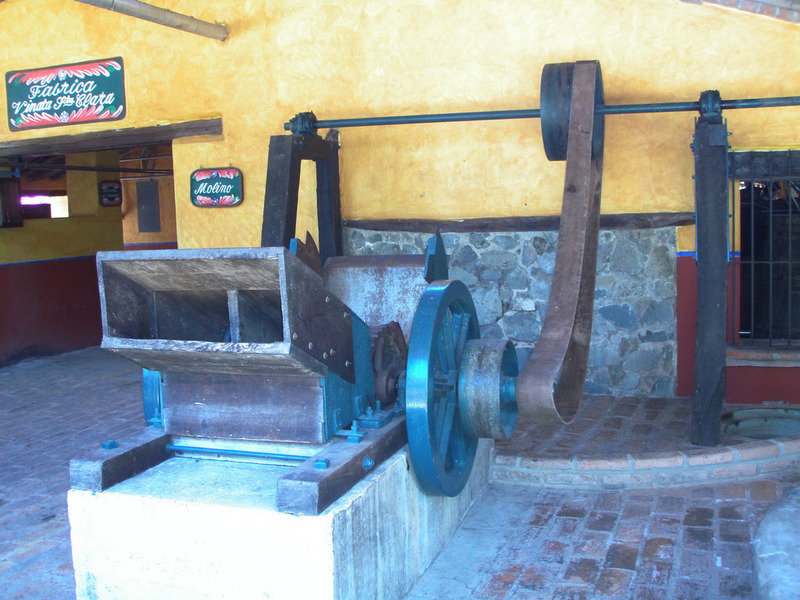 It was quite interesting to learn about how tequila is made. Hope you are able to make it to the tour of the factory! 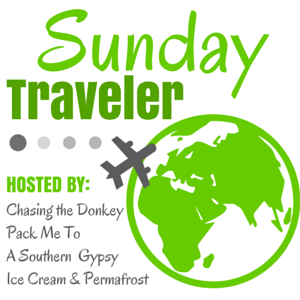 This sounds like a great shore excursion! It’s always interesting to see how things are made. I had a vague idea about tequila but this was great to see and learn. My husband would love this a whole lot more than me. Thanks for a wonderful virtual tour. It’s always fun to learn how things are made. I love beer, in addition to tequila, and no matter how many times I tour a brewery I always learn something new!